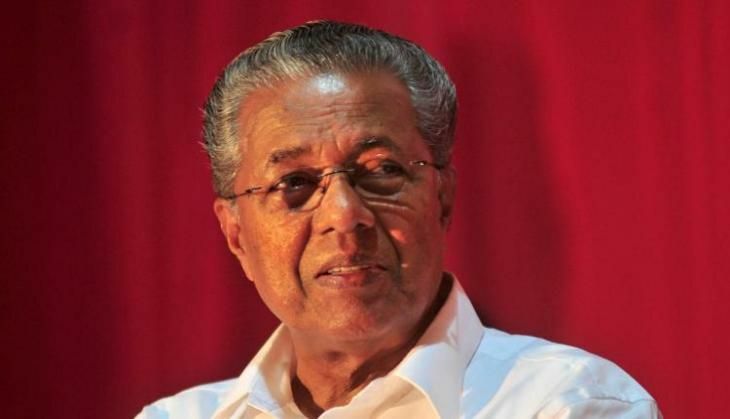 Amid reports that a group of Keralites have joined the terror outfit, the Islamic State, Kerala Chief Minister Pinarayi Vijayan told the Assembly on 11 July that a total of 21 persons have been missing from the state. While replying to a submission raised by opposition leader Ramesh Chennithala, Vijayan told the Assembly that according to the preliminary information, 17 of the 21 missing persons were from Kasaragod while four of the persons hailed from Palakkad. "The missing persons from Kasaragod included four women and three children. Two women were among those missing from Palakkad," he said. These people had left their homes stating different reasons, he said. As per the media reports, these people had gone to Syria and Afghanistan and they were in IS camps, he said. Quoting media reports, Vijayan said that one Firoz from Kasaragod has been taken into custody from Mumbai airport on 10 July in connection with the development. "The state government is committed to take stern action against any kind of terror activities," he said, adding that the government would not allow any vested interests to exploit the situation. "There is also an attempt to put the entire Muslim community under the shadow of doubt. But it is well-known that majority of people in Kerala are against any kind of terrorism and extremism. Only a very few people are showing tendencies to become part of this," he said. Noting that only the government steps were not enough to overcome the problem, Vijayan said a joint effort was necessary to bring all sections of people together and line up to isolate these elements. Taking up the issue, Chennithala said Kerala is in the grip of fear in the wake of the media reports about the IS link with some state youths. However, he said no official confirmation had been received so far in this regard. So, it is the responsibility of the state government to make clarifications on the reality and alley the apprehensions of the people. The opposition also wanted the Chief Minister to share with the people whatever information he could on the development. BJP MLA O Rajagopal brought to the notice of the House that a final year woman dental student from his constituency in the city was missing. There were reports that she had converted to Islam and moved to Palakkad after her marriage. She was one among the women missing from Palakkad. However, every citizen has the right to choose any religion he or she likes or marry anybody but stern steps should be taken to prevent the people joining outfits like IS, he siad. CPI(M) MLA M Rajagopal, who along with Kasaragod MP P Karunakaran brought the matter to the notice of the Chief Minister two days ago, said majority of the persons missing from his constituency were well-educated and technocrats. He said their family members were ready to pass on any information they have to the state and central investigation agencies. The MLA also wanted a comprehensive probe into the matter and said any move to create communal tension over the issue should be checked by the state government effectively. Is Anil Kapoor's 24 season 2 inspired by Dan Brown's Inferno?